And so, this year, there were real guidelines. 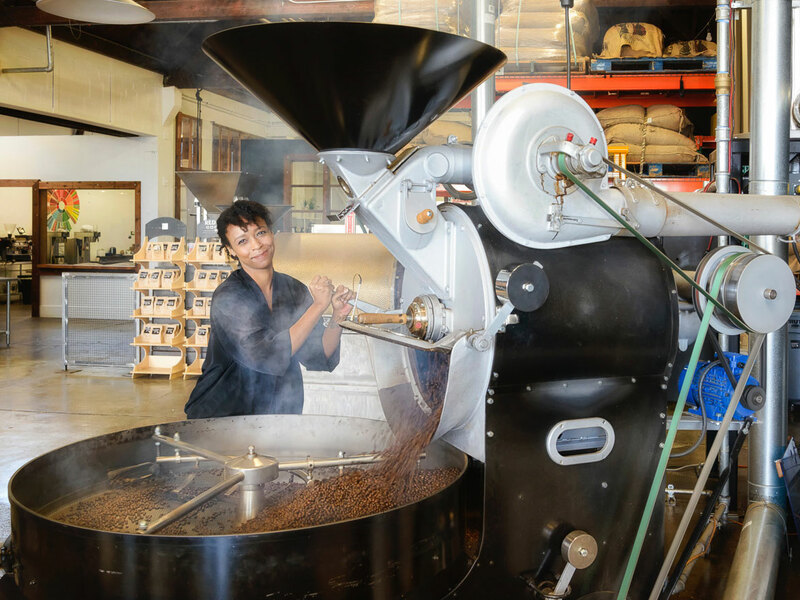 In order to claim the top in your state, you had to be an actual coffee roaster—for at least two years, if there was enough local competition to make this possible. Having great coffee was important, but as in 2018, we have held to a more consumer-focused approach (this is not a trade publication), focusing on roasters who were able to deliver the whole package, or close to it—spectacular coffees, great retail operations, and passions for hospitality, community, and, better still, complete sustainability. The world might run on coffee, but coffee remains in constant peril, subject to the cruelty of market forces, and the ongoing threat of climate change. Unless we care more, and put more of our money where it belongs, in the hands of the growers, there will come a time when we may no longer have coffee to kick around, anymore; any roaster holding themselves accountable, anyone committed to greater transparency, instantly had our attention. Of course, anybody nailing all of the above, well, that's a home run, and you might be surprised how many of them did just that. A boundless passion for Haiti, and the country’s against-all-odds coffee industry was the inspiration Birmingham natives Nathan and Michael Pocus needed to get off of the sidelines and into the coffee game, for real—a Haitian nitro cold brew coffee was the first thing to snag them some well-deserved attention, but for roughly two years now, the brothers have been growing their offerings, sourcing from a range of locations, all the while ensuring that their first love—Haitian coffee—remains at the heart of the business. A casual café, the daytime alter-ego of a popular local bar, will soon be joined by a second, standalone in the Five Points South neighborhood. Just around the corner from the cliff divers and those sopapillas at the apparently immortal Casa Bonita, in a Denver-adjacent neighborhood nobody’s talking up as the next hot thing—that’s where you’ll find Andy Sprenger and head roaster Jin Chiew running one of the most noteworthy operations in America right now, one of too-few light-touch roasters in the country that can almost instantly make a believer out of any bitter dark roast clinger. Here is a modest set-up, a few tables and chairs with an unobstructed view of the goings on, couches for rela, and a cupping and training lab set-up in the back, behind a wall of windows—never mind, you’ve come to the right place, the essential place, even in a city embarrassed with such an extraordinary pool of coffee talent. Sweet Bloom may be out on the margins, relatively remote from the Denver that everyone’s so hot for these days, but don’t worry about it—this place is pilgrimage-worthy. 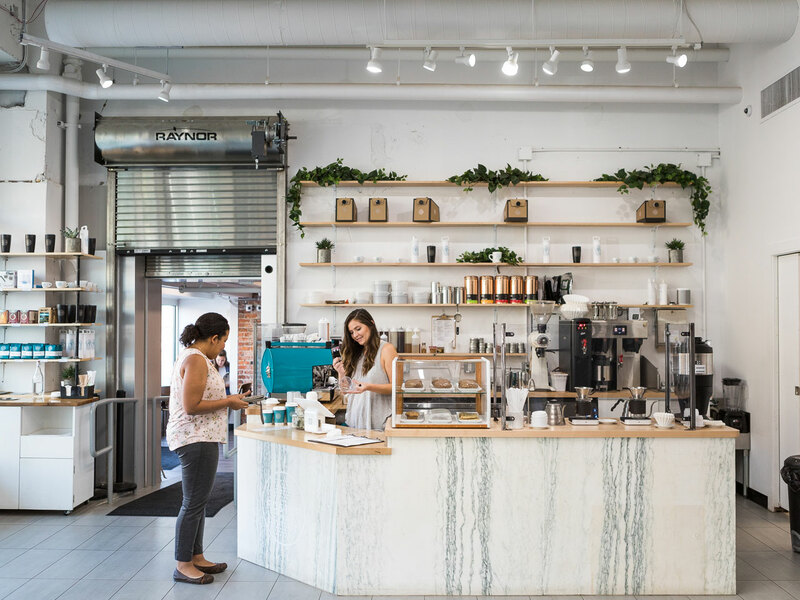 Should you find yourself disinclined toward making the (small) trek, Caleb and Jeannie Sprenger—Andy is Caleb’s uncle—own and operate one of Denver’s nicest coffee shops, Sapor, which is, but of course, powered by Sweet Bloom. It happens so often that it barely registers, anymore—the ting of those unmistakable bags containing another batch of Delaware’s most notable coffee, in places far (sometimes really far) away from Delaware. The design may be what catches the eye at first, it’s among the most eye-catching packaging in the business, thanks to the whimsical work of Delaware artist Todd Purse, but what keeps coffee shops around the country buying from a small operation with only a few years of roasting experience is the quality—from seasonal blends to the nerd-friendly Heady Collection of wonderfully unusual coffees, Brandywine may come from a little state that people don’t often think about—come coffee time, they really ought to. You’ll find Brandywine’s coffees served at one of owner Alisa Morkides’ six Brew HaHa! cafés in the Wilmington area, now celebrating—how time flies!—a whole quarter century since the very beginning, when Morkides went to Italy that one time, and came home convinced that the thing she needed to do, right away, was open a coffee shop. Talk about good instincts. Tasting notes There are heavily populated states with a fraction of the roasting talent Montana takes for granted—pretty much every town or at least each region boasts a great one (and sometimes more) to call their own, from Drum Coffee Roasting and Black Coffee Roasting Co. in Missoula to Caffeic in Helena; in Billings, it’s the low-profile but award-winning Revel if you can find them. Some of the state’s smallest towns punch above their weight as well, from Big Creek Coffee Roasters in the remote Bitterroot Valley to Fieldheads Coffee Company in tiny Bigfork. One small-town notable, Folklore Coffee in Conrad, recently made a move toward the light, hanging a shingle in the tourist town of Whitefish. Isaiah Sheese didn’t have to do much more to impress—now going into his fifth year of pushing the coffee conversation forward in Nebraska, his simple, effective shop in the Blackstone District had already proved a worthy showcase for his roasting talent. But this apparent disinterest in sitting still is one reason Sheese continues to make an impression—last year, Archetype opened a second shop, just about the prettiest Omaha has ever seen, a Scandinavian-inspired in the Little Bohemia neighborhood, just south of downtown. There was a significant amount of movement on the local scene in 2018, but this was easily the biggest news of all. Besides a strong core offering, Archetype is one of many good cafés across the country going all in on unique, seasonal coffee drinks—let them whip out the shakers and make one for you. Competition circuit kings Lem Butler and Kyle Ramage are best known around the industry for their consecutive wins at the United States Barista Championships—Butler placed first in 2016, then coached Ramage to the same the following year. But the road to where they are now—co-owners of one of the country’s most intriguing new outfits—started long before that, and they met, as you can imagine many other people working in coffee in this part of North Carolina met, because of Counter Culture Coffee. (Butler was working there, at the time.) This was nearly a decade ago, now; in the fall of 2017, Black & White was created, and within a relatively short period of time, their coffees have gained a considerable amount of national attention. When in Raleigh, make the half-hour detour to Black & White’s Wake Forest shop—you’ll be awfully glad. 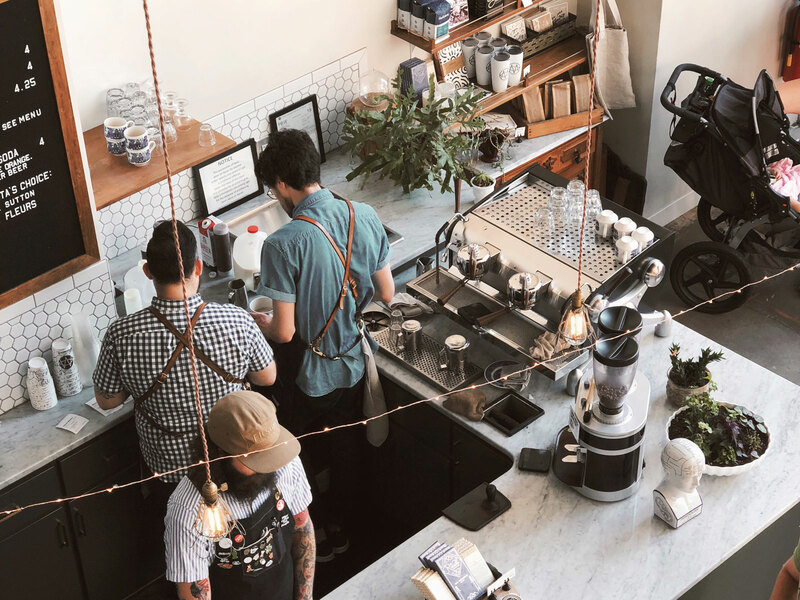 Huge news this past year, from the littlest state—what was once one of the most perfectly-formed coffee shops for miles around is now one of the region’s most notable roasters, too. With two unique, well-run locations in town, one an essential morning hangout in the lobby of the Dean Hotel, the other an all-day café at the RISD Museum, Bolt didn’t need to try much harder, but now, Mark Hundley and roaster Justin Enis have rather successfully steered the operation in an exciting new direction. Suddenly, it feels like the sky’s the limit. Since 2012, Utah’s best has been on a mission, multiple missions, actually, working not only to make great coffee accessible to everyone, without pretense (yes, they did just suggest that Ethiopia was tasting a lot like Fruit Loops), but also to keep their sourcing sustainable, with the goal of producers earning a living wage for the beans that La Barba buys. There are three locations now, each one sparkling brighter than the last, but it’s the original downtown —lately sharing their address with a natural—with its rich, moody decor that still seems to serve as the most fitting showcase for these very fine coffees.